The DSAM Board and Members made a courtesy visit to the Federation of Chinese Associations Malaysia (Huazong) on 28th April 2016. Representing DSAM were President Frederick Ng, Board Members Sam Cheong and Tan Kai Hee plus representatives from Cadware Sdn Bhd, Healthy Futures Sdn Bhd, Infinitus International (Malaysia) Sdn Bhd, Shuang Hor Enterprise (M) Sdn Bhd and Totalife (M) Sdn Bhd. 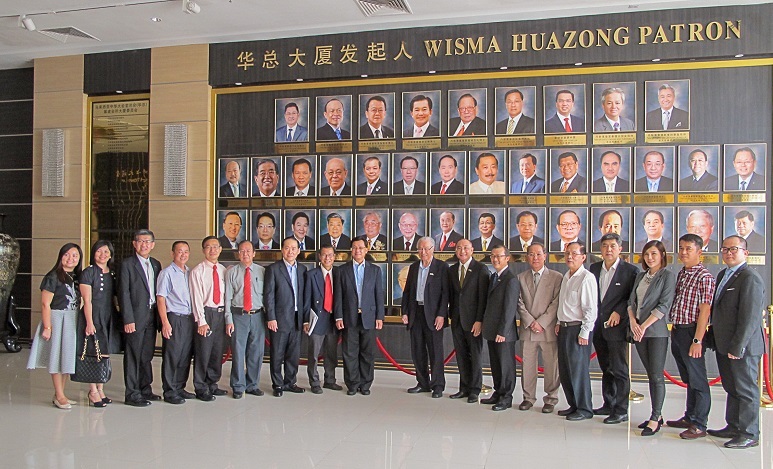 Representing Hua Zong is their President Tan Sri Pheng Yin Huah and Council Members. During this visit, both parties briefed each other on the activities and functions of both the organizations. There were also concerns raised on the illegal pyramid scams. On this matter, both parties have agreed to exchange information in order to assist the government in eradicating these illegal scams. Huazong was founded in 1991 as a non-profit national organization representing the major Chinese associations throughout the country. Its members consist of Chinese Assembly Halls from all 13 states in the country thus representing all major Chinese associations in Malaysia.